Pomeroy or Pumeroy or Pomroy or Polmeroy or Palmeroy, You've found us! Looking south from Pomeroy's volunteer fire station towards Main and 3rd in the teens. 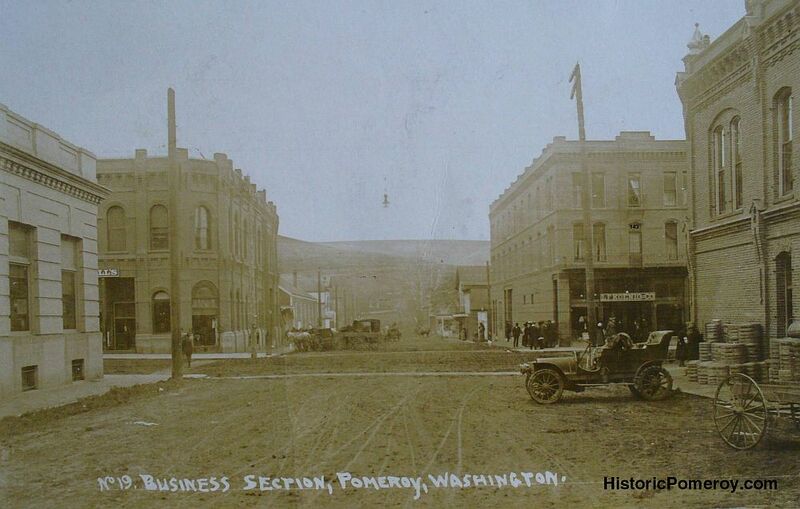 This Web site has been financed by Castlemoyle Books and Gifts for the Pomeroy Historic Preservation Committee. The Committee gratefully acknowledges donations of time, photographs, scans, and other assistance from the Garfield County Museum and individual citizens of Pomeroy and Garfield County.